Every post you share, every friend you make and every link you follow is tracked, recorded and converted into data. Advertisers buy your data so they can show you more ads. This is the anti-Facebook message that serves as an introduction to a Ello, a new platform that is taking a different approach to the social network concept. Not only is it ad-free, it is invitation only for now. It’s even been called “a referendum on personal data-driven web advertising”. Ello is spearheaded by entrepreneur and bicycle enthusiast Paul Budnitz, in partnership with graphic design practice Berger & Fohr and creative technology agency Mode Set. 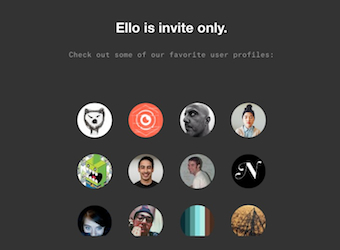 To say Ello is ad-free is an understatement – Ello is passionately and self-righteously anti-ads. The network instead plans to charge users to upgrade their profiles with special features. It has to make money somehow. Will it catch on? Currently in Beta, the site’s clean, design-focused interface is full of hipster pretence, topped off with an air of exclusivity because having a profile on the platform is currently ‘invitation only’. The network’s ‘favourite user profiles’ give an introduction to the kind of people that are likely to hang out here – trendy types doing creative things such as photography and music production. 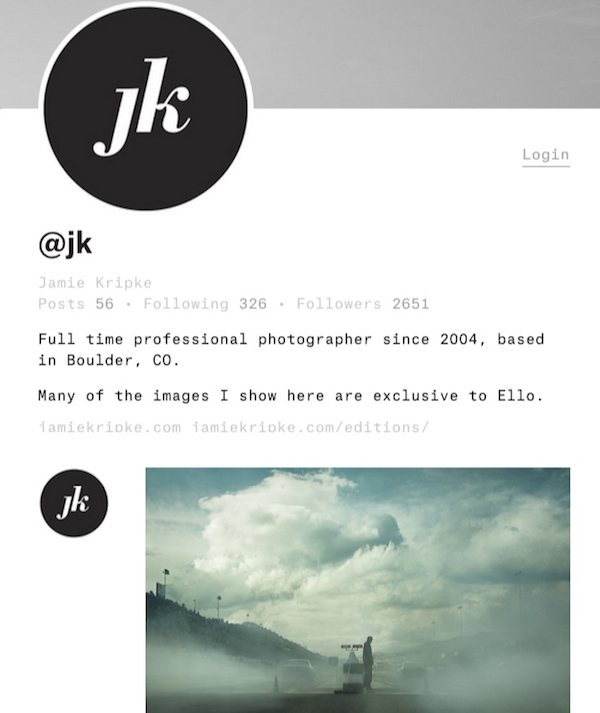 Photographer Jamie Kripke, of Boulder, Colorado, has secured some kind of partnership with Ello, which involves allowing the platform’s visitors exclusive access to a selected series of his work. Large images feature on the site, higher resolution and cleaner than you’ll find on Instagram. Most profiles so far have posted only professional, clean, minimalist shots – no homemade selfies with sepia filters here. Ello’s news feeds take inspiration from other, more popular sites such as Facebook and Google Plus, and it utilises the @ tag first seen on Twitter and later Instagram. But Budnitz has been quoted telling Bloomberg Businessweek it doesn’t see Facebook as a competitor. 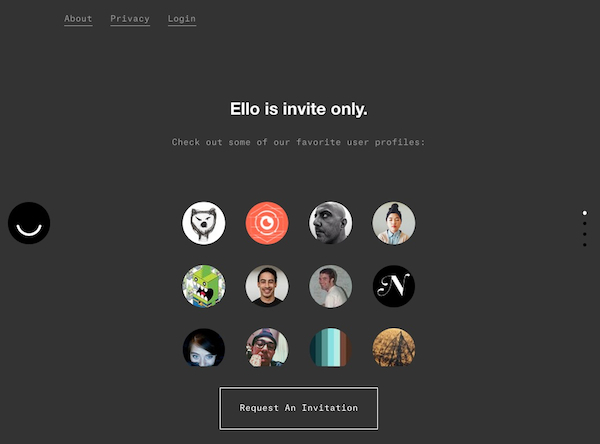 “Ello doesn’t sell ads. Nor do we sell data about you to third parties. So far, commentators have been skeptical. Columnist Jeff Yang wrote on CNN that Ello should serve as a “wakeup call” to other social networks that are relying more and more on paid advertising to guarantee their survival. “Hundreds of thousands, maybe millions of users, are dissatisfied or disgruntled with what the social powers-that-be have to offer. And they’re willing to at least try something new, especially if that ‘new’ is positioned as elusive and enigmatic, with invites as rare as Willy Wonka’s golden tickets,” Yang wrote. Sarah M Watson on Al Jazeera America was optimistic despite encountering various bugs on the site while it’s still in Beta. “It’s worth checking out if you can get an invite. But should you abandon all your other accounts for it? Not just yet,” she wrote.